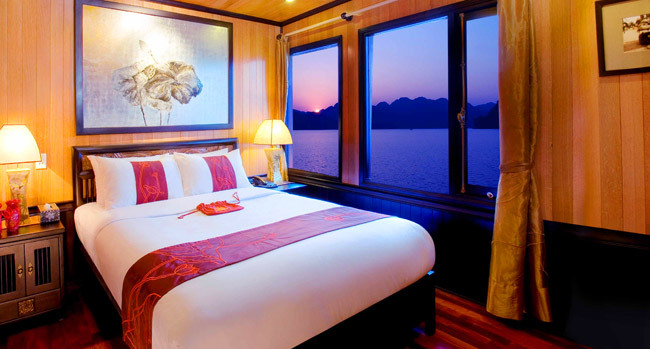 Traditional decoration makes visitor be impressive, a wooden junk designed in time-honoured traditional style, with contemporary and luxurious cabins and facilities. 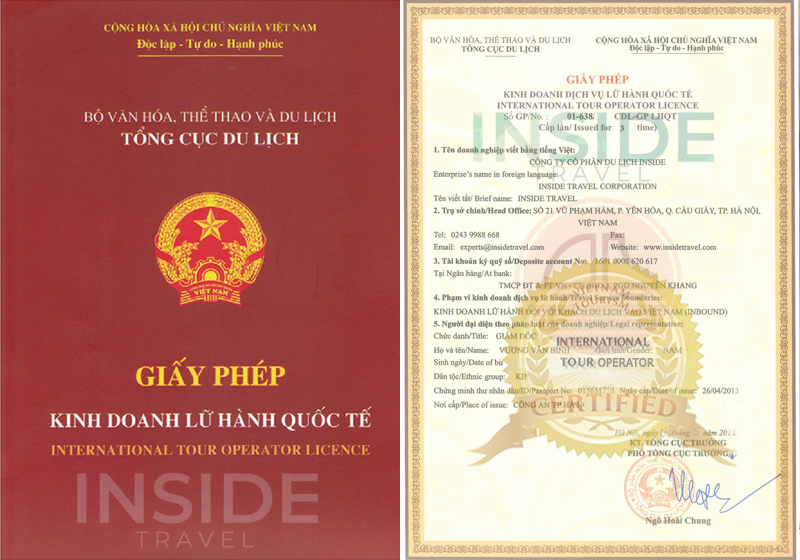 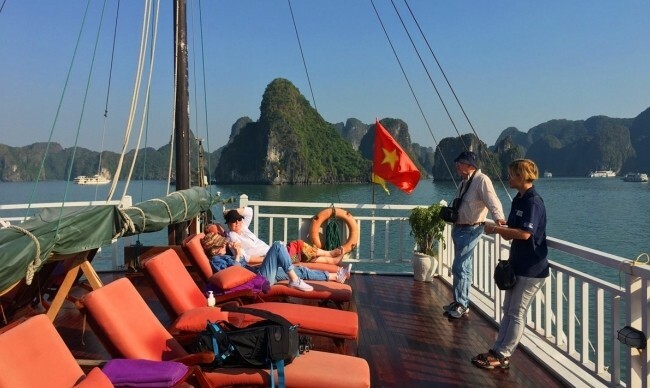 The interesting itinerary helps visitor discover high light destinations like: Halong Bay, Bai Tu Long Bay, Cua Van Fishing Village, Titop Island. 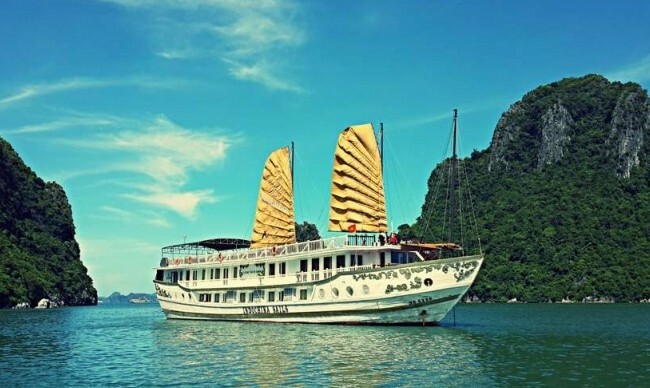 My husband and I had a night in Hanoi then a night on a boat in Halong Bay with Indochina sails. 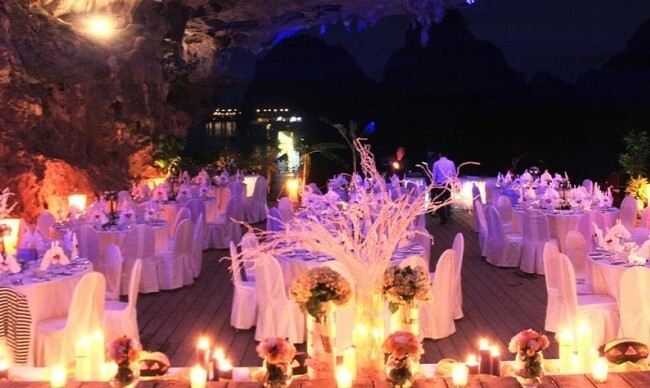 This was organised by Ngan who was very good. 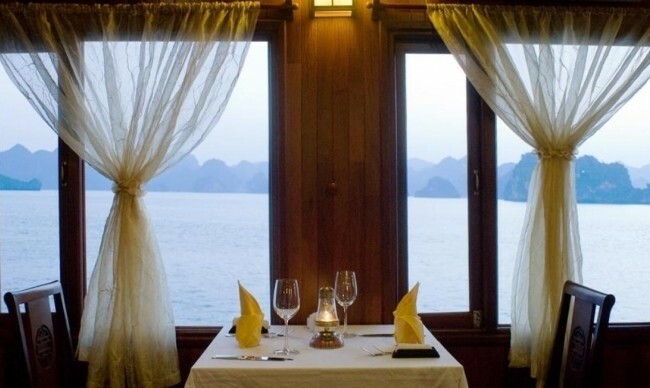 Everything was perfect the food and the guide were great and the activities were very good also. 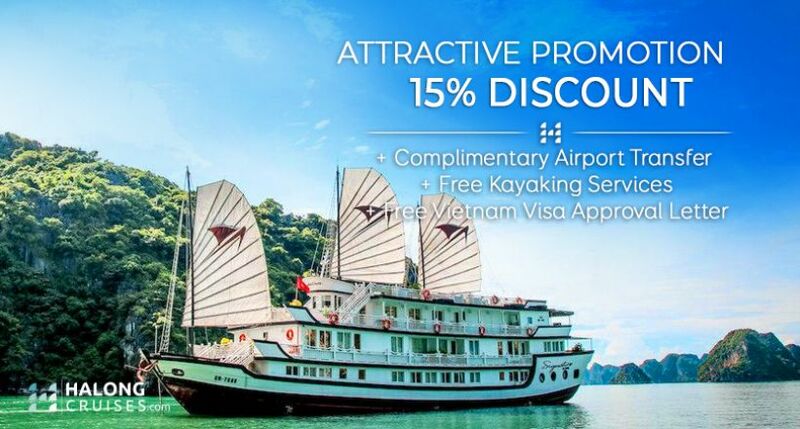 Thank you Ngan you have been very helpful. 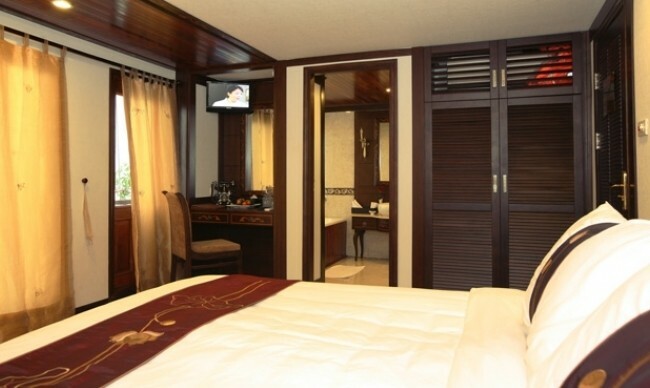 On Superior cabins, located on the first deck, offer spacious and comfortable accommodation. 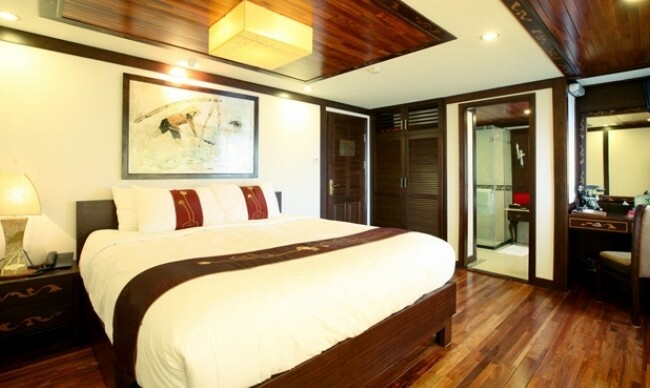 The Deluxe cabins are 14 - 16 m2 and are located on the more private second deck and feature rainfall shower. 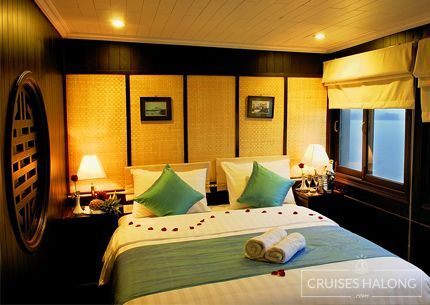 The Suites are very spacious, located on the second deck with balconies, and all feature Jacuzzis. 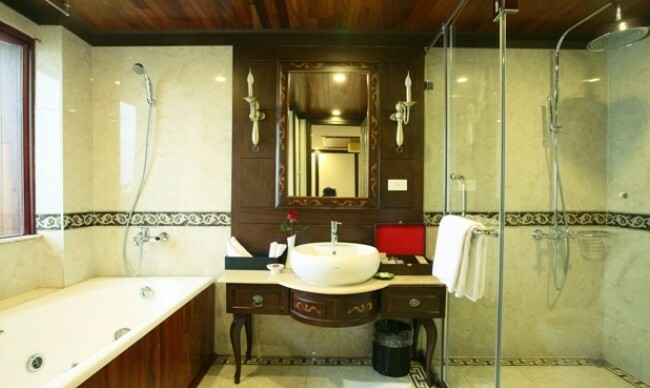 The President Suites are 24m2 and located on the second deck with private balconies and Jacuzzi, LCD TV & DVD player. 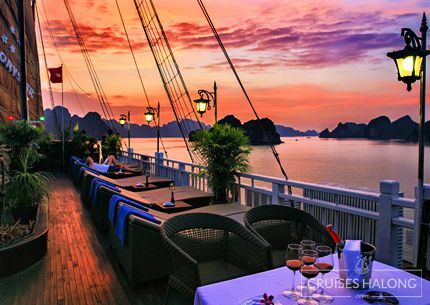 Backed by 25 years experience hosting international guests on the tranquil waters of Halong Bay, Indochina Sails has set a new standard for luxury cruising. 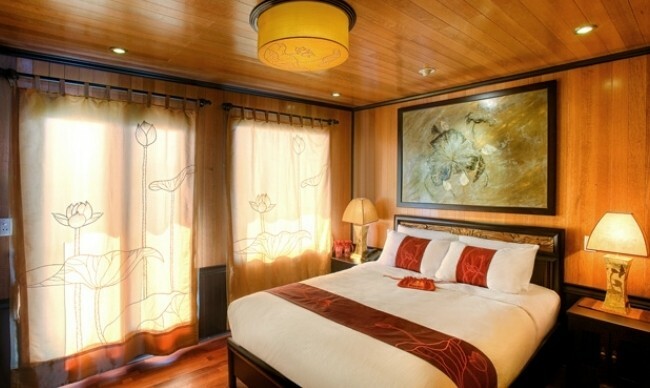 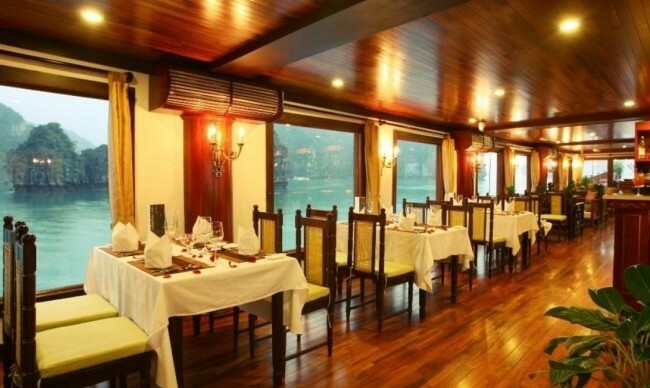 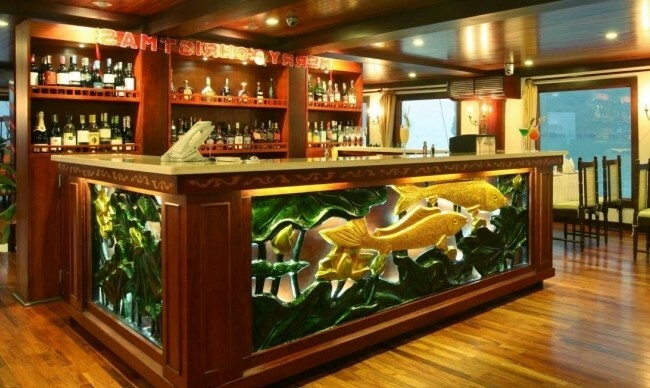 The first company to offer overnight cruises on the bay, Indochina Sails is now widely known as the number one choice for discerning travellers, operating a fleet of four newly built wooden junks designed in time-honored traditional style, with contemporary and luxurious cabins and facilities. 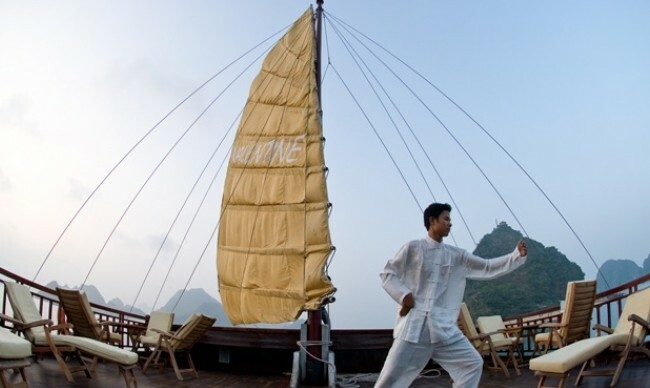 All of Indochina Sails’ boats are built to the highest standards and designed to incorporate traditional style and modern facilities. 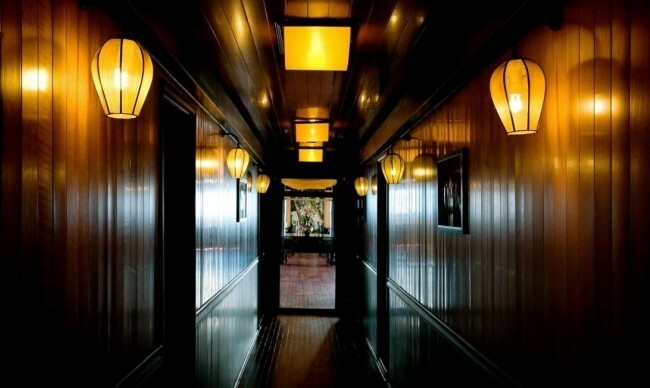 They are built entirely of aged wood, providing a rich and warn ambience. 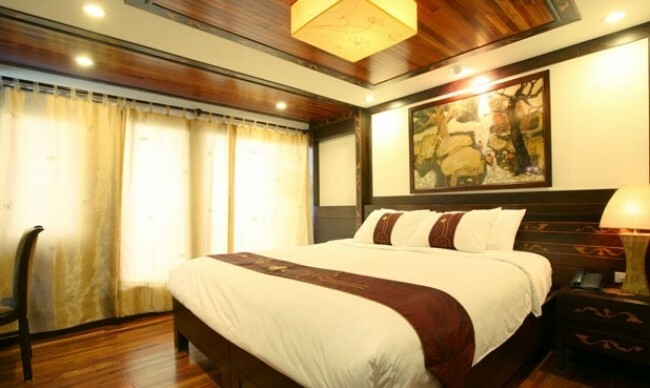 Cabins feature the beautiful and durable “Huong timber”, which is very good for the health. 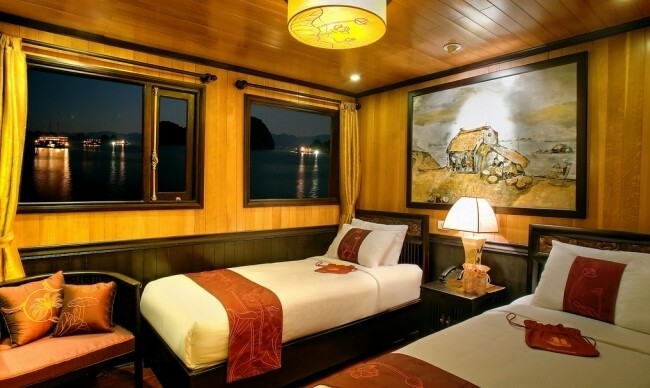 Each boat has luxury cabins on the second floor and senior cabins on the first floor, all with well-appointed amenities including luxurious bed linen, in-house telephone, and separate bathroomswith a massage shower, a mini fridge, air-conditioning, and wardrobe. 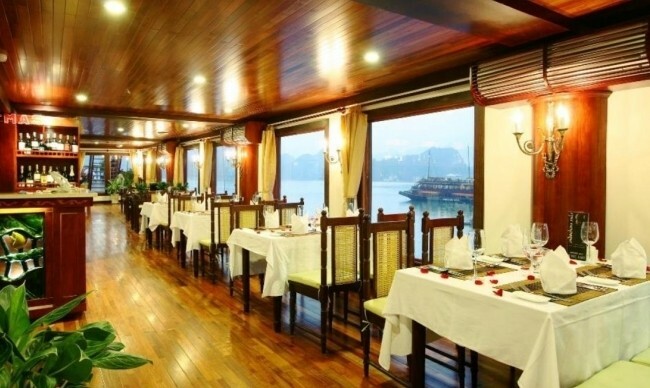 With the aim of serving tourists better, Indochina Sails was set up as an independent branch to operate a fleet of luxury cruise vessels. 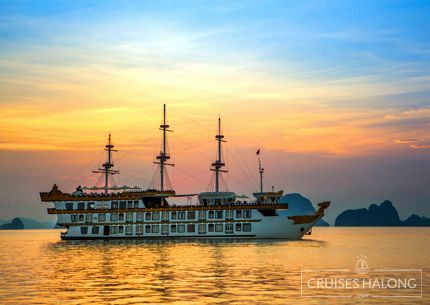 It has introduced four boats: One Indochina Sails 14 cabins, Two Indochina Sails with 15 cabins and the biggest one is 23 cabins. 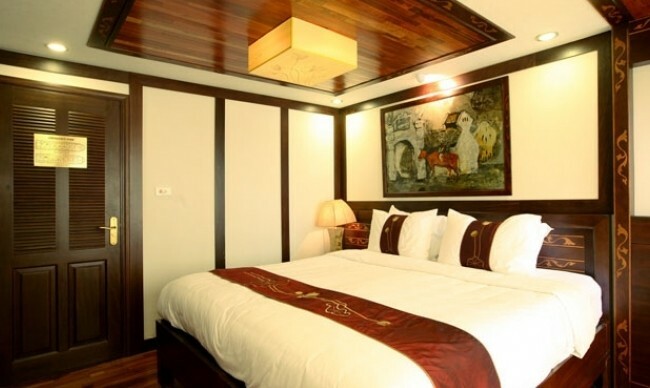 The cabin categories are: Superior, Deluxe, Suite, President Suite with Double and Twin beds available. 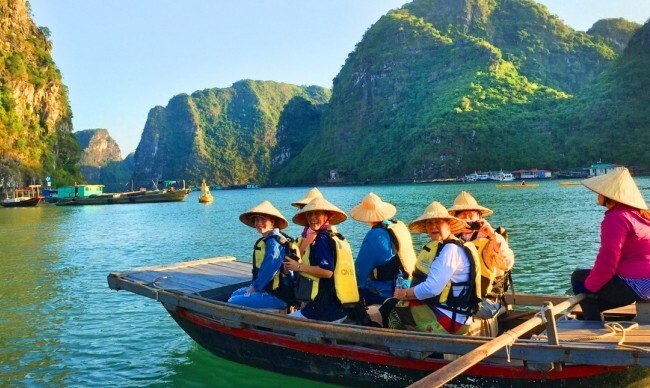 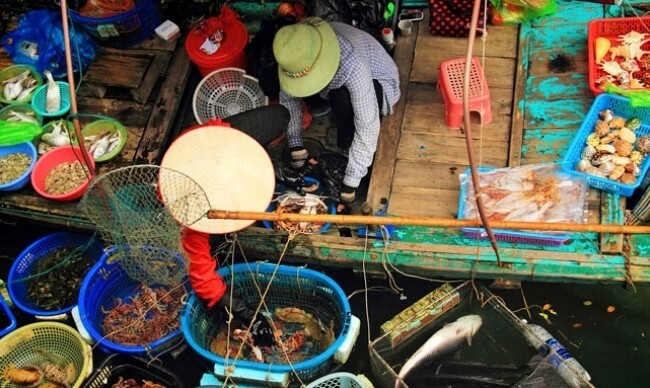 Indochina Sails offers a precious chance to explore the local agricultural life with some stopovers at Cua Van Fishing Village or pearl farm, which are off the beaten tracks to famous tourist attractions in Halong Bay such as Titop Cave or Three Peaches Area. 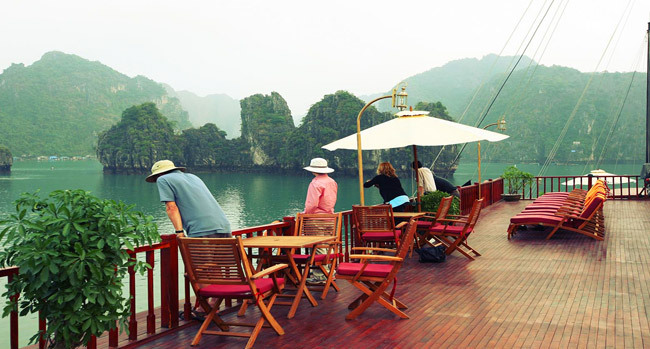 The detailed itinerary enables you to discover the beauty of the bay from several aspects to appreciate more the gift of Nature. 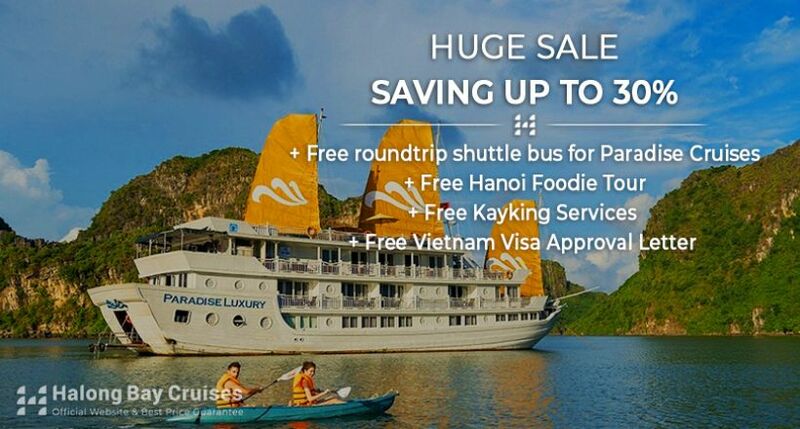 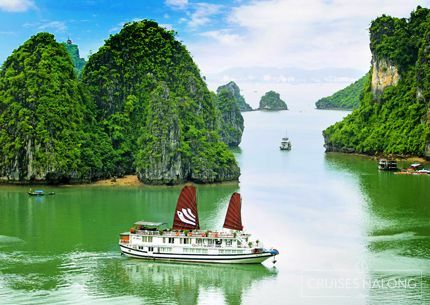 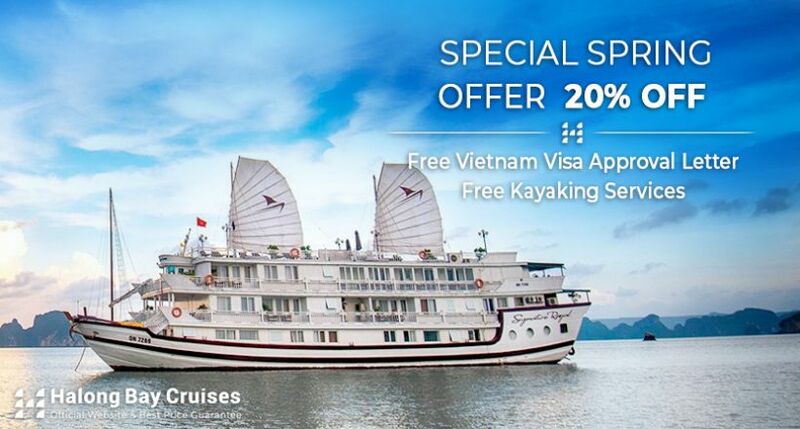 The fleet of Indochina Sails Cruise is wholehearted to make sure even the smallest expectation of tourists is satisfied. 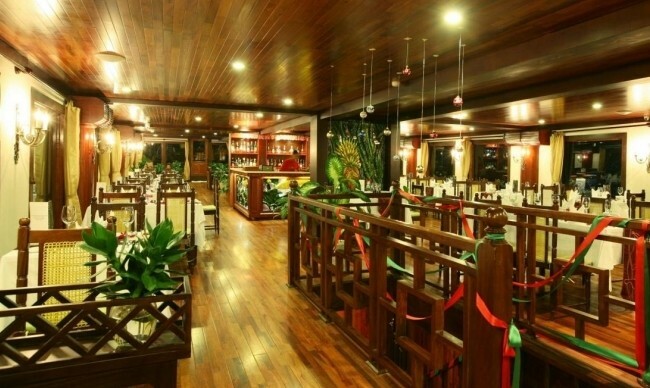 For culinary enthusiasts, cooking demonstrations are performed to introduce you the quintessence of Vietnamese gastronomy. 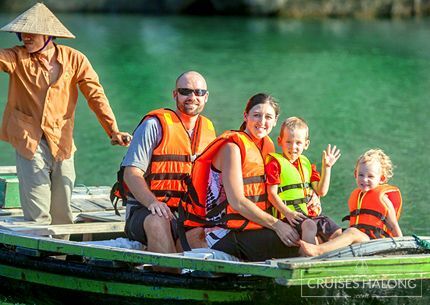 Sportsmen can share their passion with others right on board with the service of kayaking, boat rowing, diving and even night fishing. 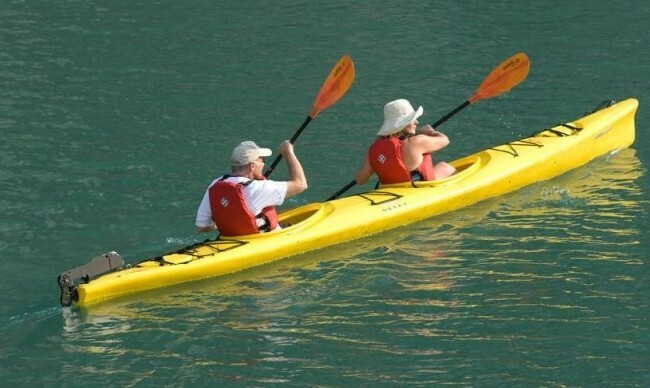 These sport activities are of high safety so you can enjoy with maximum excitement. 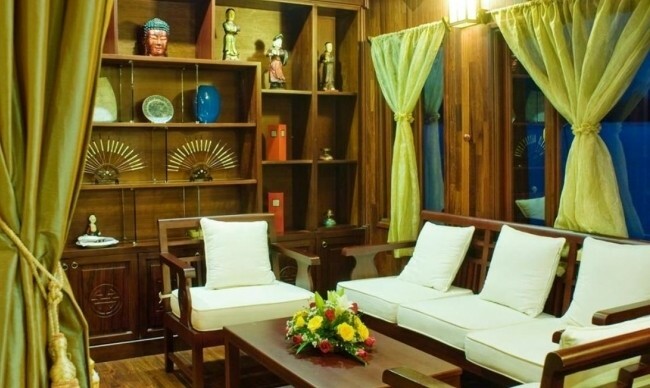 Even if you prefer leisure activities, you can get involved in daily light music, movie nights, or play board games en-suite with your travel mates. 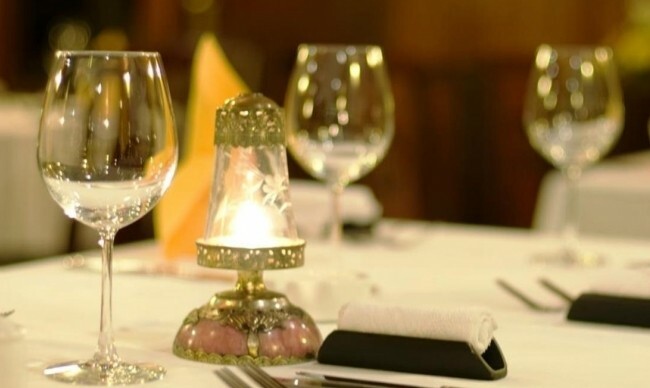 Your vocation will be guaranteed of highest pleasure. 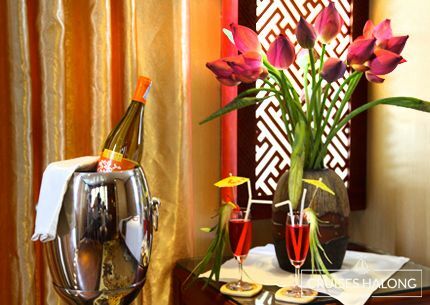 Enjoy your delighting excursions but don’t forget to take care of your health. 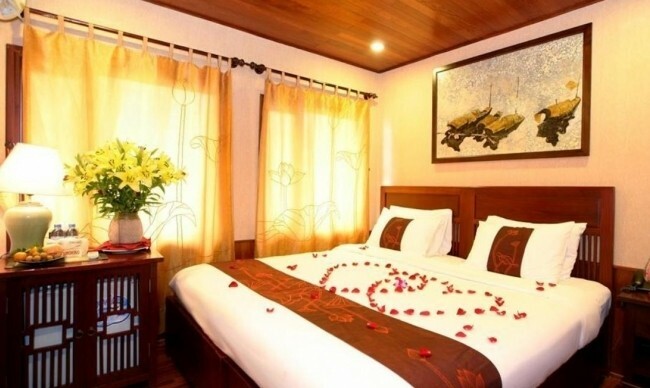 After exhausting trip, let spa and fitness room revive you. 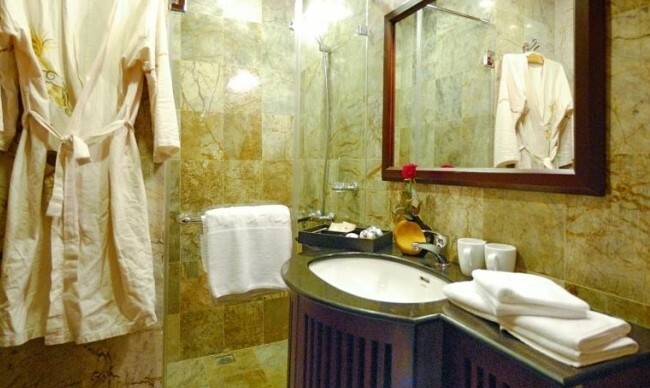 Comfortable steam room, massage or relaxing Jacuzzi will relieve your strain and recharge you for the next thrilling exploration. 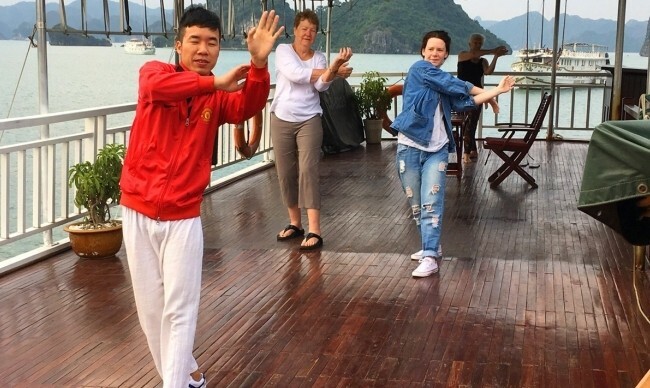 Or in the early morning, you can take part in onboard Tai Chi class. 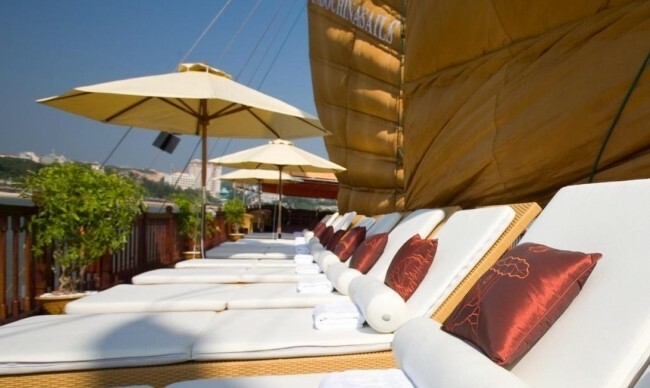 The pure atmosphere at sea together with leisurely, gentle movements will help you reach the stage of both physical and mental relaxation. 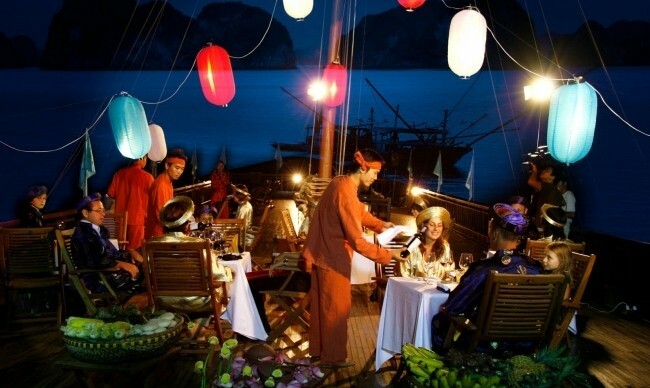 Culinary aspect on board is also paid great attention. 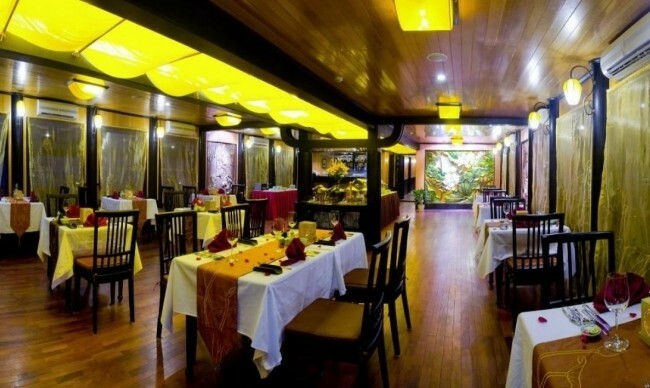 Dining space is elaborately decorated with cozy style in every detail to ensure the utter comfort. 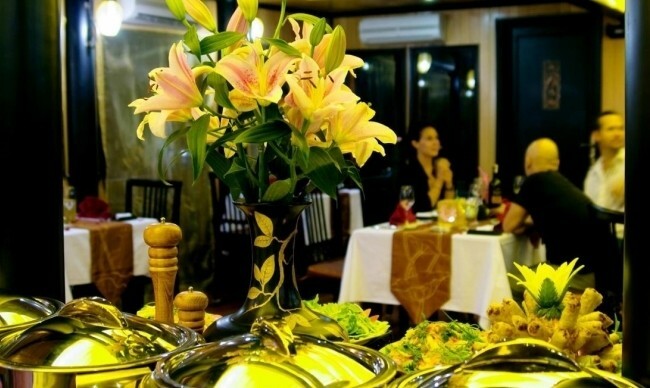 Ingredients and food preparation are carefully done for the utmost dining enjoyment. 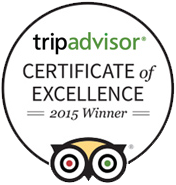 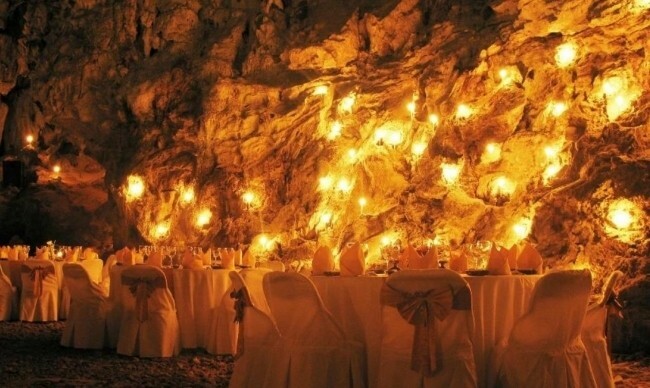 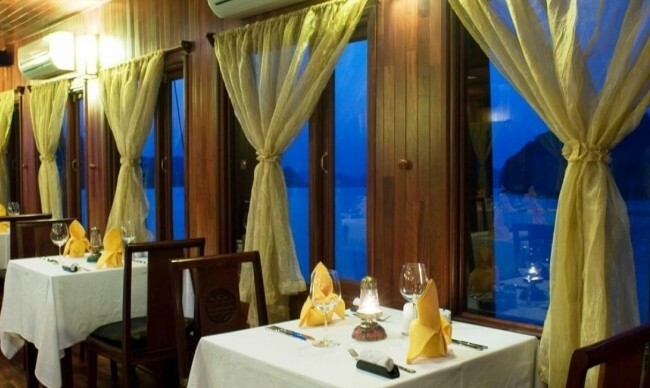 Guests can opt for a normal meal with set menu or romantic dinner prepared on cave or beach. 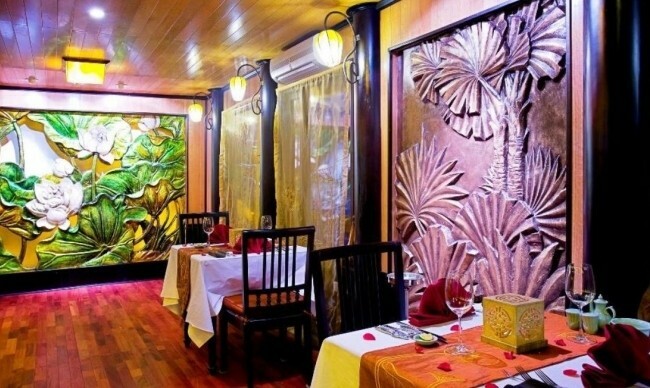 Of course special meals are set by request with extra charge but it won’t let you down. 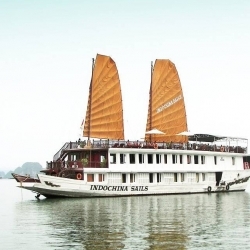 Indochina Sails boasts professional and attentive staff to meet your requirement of charter for theme cruise, wedding ceremony, or a memorable honeymoon. 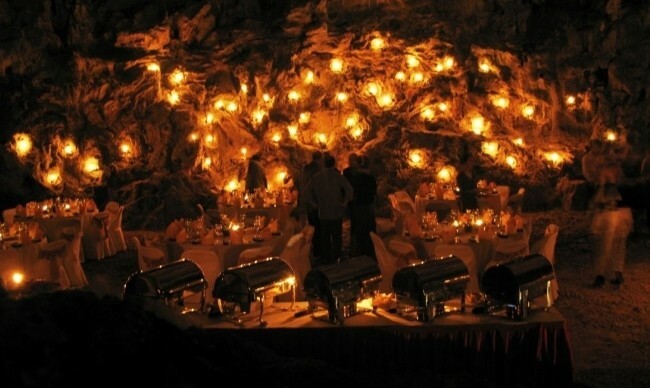 The junk also possesses modern facilities for conference or meeting. 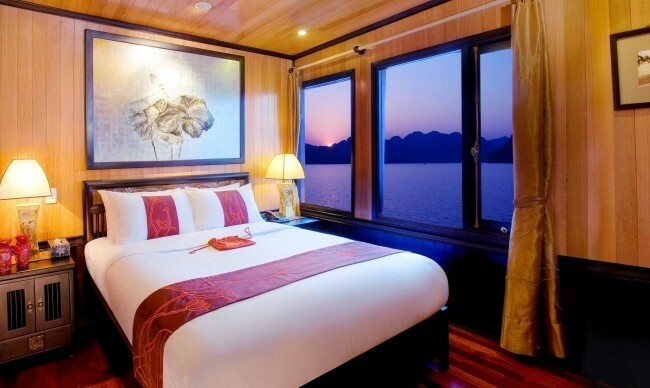 Whether you are on business or leisure trip, Indochina Sails promises you will reach the highest level of satisfaction. 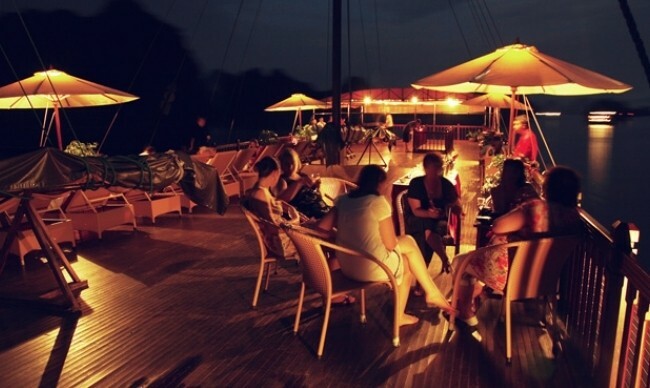 On Indochina Sails, tourists will really enjoy “Happy Hours” at night on board which includes interesting activities such as board games and playing cards as well as massage services. 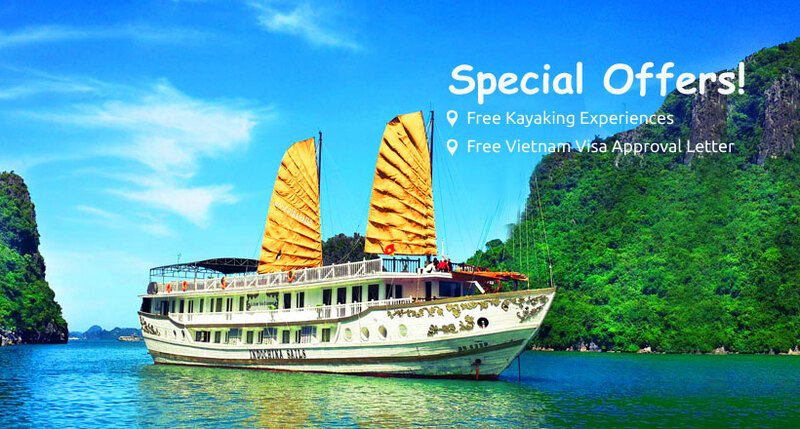 Moreover, passengers may also try their luck at squid fishing with our staff on board.